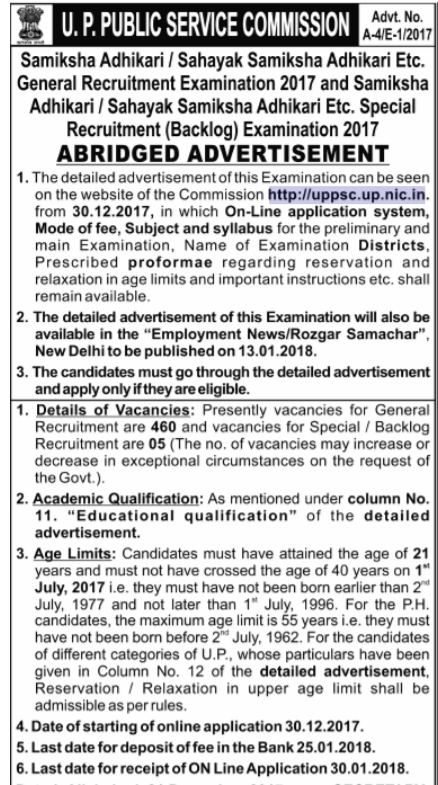 UPSC RO ASRO Review Officer Recruitment 2018 - Get here notification details, & Vacancies details as per published in newspaper & Important dates etc. UPPSC Recruitment Notification for RO, ARO Review Officer will be released to fill the online applications Jobs. 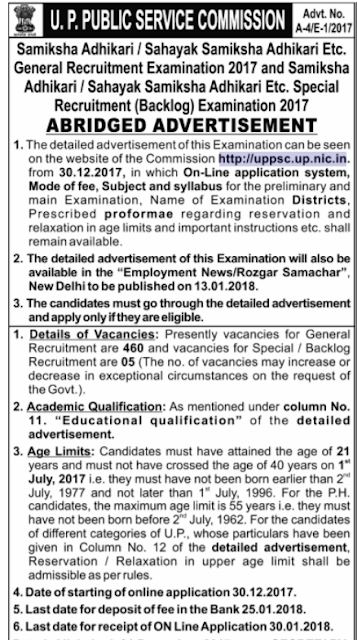 All Interested & Eligible candidates will be able apply online from the Official WebSite uppsc.up.nic.in. the official notification will be published very soon on website and 13.01.2018 employement news paper, delhi. Lat date to apply: 30 Jan 2018. Graduate form any recognized board or University. As on 01st July 2017 - Min. 21 years & Max 40 Years.